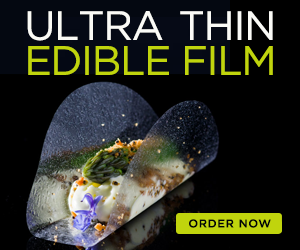 A convenient swiss meringue that is freeze-thaw stable so it can be frozen to be used later when needed. Thanks to the freeze-thaw stable properties of iota carrageenan and its synergy with guar gum, we can enhance the properties of a traditional swiss meringue. 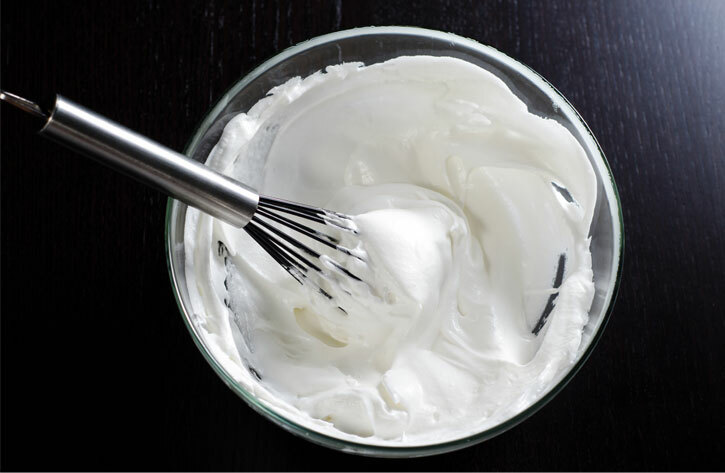 If you want to add some flavor to the meringue, just infuse the egg whites first with the selected ingredient. 1-In a small pot over medium heat, warm up the egg whites, 125 g of sugar and the cinnamon sticks or the selected ingredient to infuse the egg whites. 2-Remove from heat, cover the pot and let it infuse at room temperature for 30 minutes to an hour. 3-Mix the guar gum, iota carrageenan and remaining 25 g of sugar. This will help dispersion of the hydrocolloids and reduce the forming of lumps. 4-Over bain marie (water bath), whisk the egg whites and the sugar-hydrocolloid dry mix. 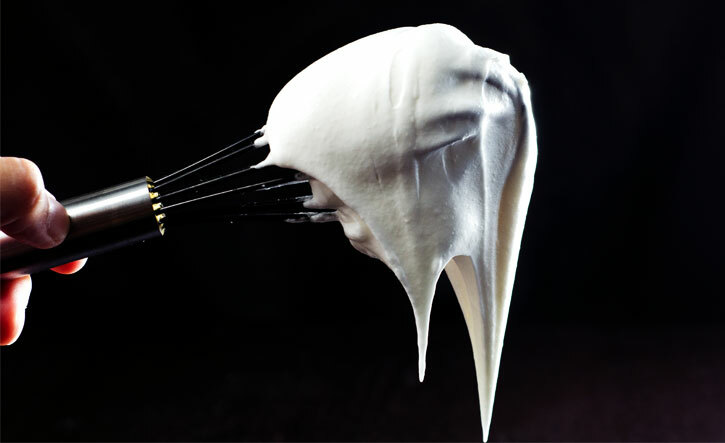 Keep whisking until temperature reaches 55 °C (131 °F). 5-Pour contents into bowl of stand mixer and whip until cool. 6-Freeze for later use. You can portion it if you want to use it in different occasions so you don’t have to thaw the entire batch. 7-Next time you need some swiss meringue, remove it from the freezer, let it thaw and re-whip it.